Forget the Gumpert’s news, the lads from Peterborough have driven their Radical SR8LM from the UK to Germany and then gone on to smash their own four year old record. 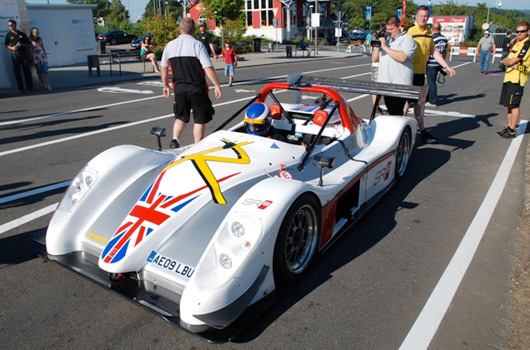 For so long the previous best time by a “road car” was held by the Radical SR8, at 6 minutes and 55 seconds, but now, the time has been lowered. And by an astonishing margin, too, with a new record time of 6 minutes 48 seconds. I hope you didn’t miss that factoid in the first sentence. The car used for this record lap was driven to the track under its own power. Not babied on the back of some palatial transporter. Amazingly, just a single set of Dunlop semi-slick tyres were used to drive to Nürburg and then to set the record time. Expect to see video of the lap online in coming days. In the meantime you can listen (and watch) to Michael Vergers talk you through his previous record lap, set in 2005 at the wheel of a Radical SR8. 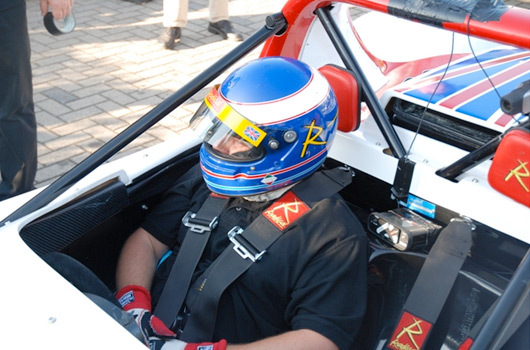 20th August 2009 – Peterborough sportscar manufacturer Radical Sportscars has smashed the Nürburgring production car lap record, with driver Michael Vergers posting a committed 6m48s lap time. The road-legal SR8LM smashed the previous record, also held by Radical since 2005, by an incredible eight seconds. All this, less than 24 hours after the car was driven from England to Germany for the record. German motoring magazine Sport Auto oversaw the attempt, with the UK’s evo magazine confirming the time, which will be officially finalised tomorrow (Thursday). Conditions for the record were perfect, with clear skies and temperatures in the high 20s. Vergers initially battled with the Nordschleife’s fearsome kerbs, jumps and bumps, but soon found the ideal setup, inspiring confidence to push harder. Radical co-founder Mick Hyde said: “I’m obviously delighted, the record has been a real team effort headed up by Phil Abbott and Rob Wheldon. Dunlop have supplied us with brilliant, hard-wearing trackday tyres, indeed we’ve only used one set to both drive to the ‘Ring, and set the record. Can’t wait for the video of that one!